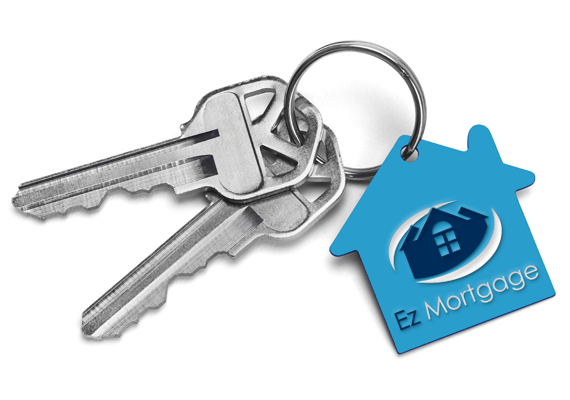 EZ Mortgage is a mortgage finance provider in Port Elizabeth. Our purpose is to offer you the best service and advice as a Home Loan, Bonds & Property Finance provider. Our financial services cover the full spectrum of home ownership and home financing – from the start and credit approval, through to registration and ongoing loan servicing. Jacques Bain, the Director of Ez Mortgage, has been working in financial industry since 1993. Jacques launched Ez Mortgage in 2014 and the company is currently based in Port Elizabeth, however we are rapidly expanding throughout South Africa. You need to know how much you can afford to pay for a property before you actually start searching for your property. If you have any problems on your credit profile, we can help you to resolve them easily and find you the best lending rates. You need to find out whether you need to save up for a deposit, and how it will affect your mortgage repayments. You need to be able to negotiate a good sale price with agents and home sellers. Ez Mortgage is committed to helping you take the hassle out of buying your dream home and we provide the best bond origination, home loans advice and insurance solution. Ez Mortgage provides you with an easy way to finance your home. We know what information is required by each bank to make your application successful. Our consultants will help you through every step of your home buying process. From Prequalifying to Bonds and Mortgage lending… And the best part is we’ll do it all for FREE. Ez Mortgage is a mortgage originator – what does this mean? A mortgage originator offers a service to the home buyer whereby which they assist you with your home loan application. The originator negotiates with the banks in order to find the best offer and rates. You are entering into a legal agreement with the bank for a significant period of time (as long as 30 years). This means that all parties need to ensure that all relevant terms of the loan are recorded, acknowledged, and comply with legislation. Does the fee earned by Ez Mortgage Home Loans mean that I will incur hidden costs? No. There are no hidden costs. The fees you pay the bank and attorneys will remain the same, irrespective of whether you use Ez Mortgage’s services or not. Do I follow up my application with the bank or with Ez Mortgage? We track the application on your behalf; hence we are the point of contact once the application has been submitted. Once my application is submitted, how long does it take for approval? Normally, you will receive confirmation within 48 hours. However, should this process take longer, we will track the application and keep you informed. By using Ez Mortgage Home’ services, will I be able to obtain a lower rate? The bank decides on the rate, not Ez mortgage. An Ez Mortgage Loans consultant will, however, motivate your application to obtain the lowest possible rate on your behalf. What is the difference between approval and final grant? The bank will “approve” your loan based on your supporting documentation, as well as on your credit history. “Final Grant” is awarded once the property valuation has been completed. The onus is on you to supply the bank with the necessary details for the valuator to perform the property valuation. Incorrect or incomplete details will delay your application. Any non-payment of your monthly home loan installment may adversely affect your credit rating and your ability to obtain credit in the future. It is extremely important to stay up to date with payments. What do i need for a Bond application? in order to make an enquiry, please complete the form below and we will call you back. Have you signed an offer to purchase? Copyright © 2016 Ez Mortgage / All rights reserved. Ez Mortgage is a home loan provider. We offer Home Loans, Quick loans, Finance, Home loan advice, Mortgage Originator, Bonds, Property Finance, Bond Originator, Mortgage lender, Property, Real Estate, Port Elizabeth.